Start Peninsula is pleased to announce that Jason Calacanis will be the keynote speaker for the event. Calacanis is a serial entrepreneur, angel investor, podcaster and writer. He released a best-selling book Angel: How to Invest in Technology Startups: Timeless Advice from an Angel Investor Who Turned $100,000 into $100,000,000 in July 2017. Calacanis has invested in 150 early-stage startups including six that have already achieved billion-dollar valuations. His investments include Uber and Thumbtack. Calacanis will be at Start Peninsula on Friday, Nov. 2, attendees and participants will hear from him about his experiences in Silicon Valley, as an angel investor and entrepreneur. Calacanis owns several entrepreneurial-centric ventures including a podcast called “This Week in Startups” and LAUNCH incubator. To purchase tickets to hear Calacanis speak, look for updates on the Start Peninsula website. Limited seating will be available for this exclusive event. Start Peninsula will be held Nov. 2-4, 2018 at the Applied Research Center, 12050 Jefferson Avenue, across from Jefferson Lab and adjacent to Tech Center. It is a weekend-long event to stimulate entrepreneurial growth in the local community by connecting early stage businesses to validation, opportunities and resources. Start Peninsula combines a pitch competition with business education and a celebration of our local entrepreneurial ecosystem. Dozens of entrepreneurs connect with business leaders and mentors during this exciting event that showcases early stage businesses. Start Peninsula has been held annually in different Peninsula localities since 2012. 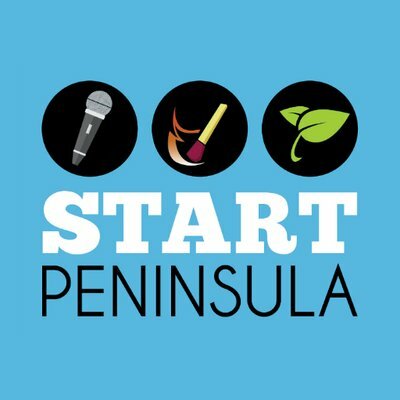 Early stage businesses are invited to apply to pitch at Start Peninsula. If a business is invited to pitch at Start Peninsula, they must pay a fee of $75 before Oct. 1 or $100 after. Thirty businesses will be invited to pitch on Friday, Nov. 2 and three winners will be selected on Sunday, Nov. 3. Three winners will receive $5,000 to fuel their business growth and free access to local resources. Start Peninsula 2018 is hosted by the City of Newport News, in partnership with the Cities of Hampton, Williamsburg and Poquoson, and the Counties of James City & York. For more information about Start Peninsula please visit their website, Facebook page or their FAQ page. To learn more about Calacanis please visit his website or Facebook page. View the official press release by clicking here.